La historia real de un tiocojonudo, a documentary based on the real-life experience of 93-year-old Barcelonan Antonio Benedico, was awarded the bronze prize in the content category at the International Echo Awards recently held in Las Vegas. The documentary was created and promoted by Pullmantur Cruceros and the agency Proximity Madrid. 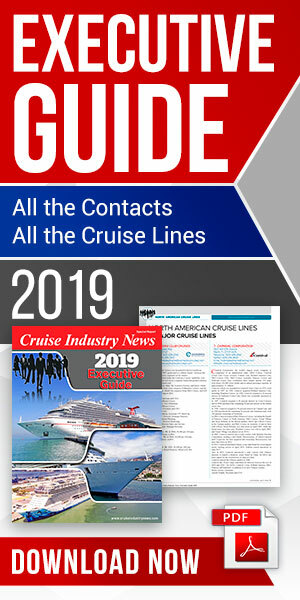 Its distribution was digital, through a global campaign on YouTube, Facebook and Twitter, reaching 10 million views in just over two weeks, according to the cruise line. Pullmantur President and CEO Richard J. Vogel commented: "I am very proud that Antonio's story has crossed borders, and is now recognized by the jury of the International Echo Awards, one of the most important events in the industry. The award is a great incentive to continue along this path, developing creative actions that allow us to go one step further and commit to innovation in our campaigns." The Echo Awards recognize the success and value of the marketing campaigns. The jury consisted of more than 400 judges from 27 countries, all selected from among the world's most influential market leaders. The documentary revolves around Antonio Benedico, a 93 year-old Barcelona watchmaker, who, after experiencing a tough 2006, decided to go on a cruise. Antonio completed 33 cruises with the company in the seven years up to 2017, and would often say that Pullmantur "has saved his life". The piece was filmed during a memorable trip on board the Sovereign in early October 2017. After overcoming a minor health problem that had prevented Antonio from travelling, Pullmantur Cruceros decided to return the affection and thank him for the loyalty shown over these years with a surprise: the cruise line reproduced his bedroom in one of the cabins on the Sovereign, so he would feel even more at home while enjoying a special cruise around the Mediterranean with his daughter and granddaughter. Since his first cruise in 2009, Benedico’s life has been linked to Pullmantur Cruceros and its crew, who he considers "his other family". Benedict's affection for the cruise line is such that he says: "when I die, I want you to throw my ashes into the sea from the stern of the Sovereign."